The Volkswagen (VW) Golf 1.6TDi CR BlueMotion really is a great looking car and boasts an impressive 58.9mpg in fuel economy. The manual gearbox delivers smooth gear shifts and is quite torquey but still can only offer a sluggish 0-60mph in 10.7seconds. Overall it is a reasonably priced car and good value for money but as with all cars it does have it’s problems – unfortunately, some of the common problems such as the dreaded DPF faults can become very costly, especially if you continue driving with the problems as most drivers are unaware of the potential damage it can cause. Both models suffer from the dreaded DPF Problems which shouldn’t be expected from such new vehicles but then there are a number of reasons why the DPF Filters get blocked and a majority of this is down to failed regenerations. There are many factors which can affect the performance of the DPF and the regeneration cycle but one of the most important factors is that the vehicle just isn’t suited to the majority of people who drive them and their driving styles. My Volkswagen (VW) Golf 1.6TDi CR BlueMotion is not suited to my “Driving Style”? If you own a Volkswagen Golf 1.6TDi CR and live in a busy built up city like London for example, then chances are your driving style will be a lot of stop-&-start which is a direct cause of premature DPF blockage. Whereas if you are living in a more rural area then you’re more likely to be driving on more longer journeys for longer periods of time which is what is required from a modern diesel engine fitted with a DPF. Longer motorway journeys more frequently help to maintain the life of the DPF by increasing the chances of successful regenerations more frequently. This type of unnecessary motorway miles are counter-productive if you’re living in a built up area with a lot of stop-start traffic and purchased one of these vehicles in hope that it will be economical. When the vehicle is regenerating on the motorway, the fuel consumption will drop dramatically for the stretch of roughly 20 miles and will most definitely counter any savings in fuel economy. If you’ve had too many failed regenerations of the DPF filter or the DPF filter has reached it’s service life then you will begin noticing symptoms of the filter being blocked, however in some cases the usual warning signs don’t flag up until the very last minute where you lose all power and the vehicle goes in to Limp Mode. You may have one or more of the above symptoms which would suggest a DPF failure and there are even more extreme cases where the vehicle may be hard to start or not starting at all due to the excess blockage and build up of exhaust back pressure. Some of the above faults can be very expensive and just replacing the DPF filter alone with a new part would easily cost you £1000+ so it’s best to tackle the problem head on right away before things start to spiral out of control. We’ve seen cars that have come into our workshops in such bad condition, we simply refuse to work on them because the cost of repair exceeds the value of the vehicle – it is not unheard of to be spending £2000+ on repairs when you’ve been driving weeks/months on a blocked DPF filter. 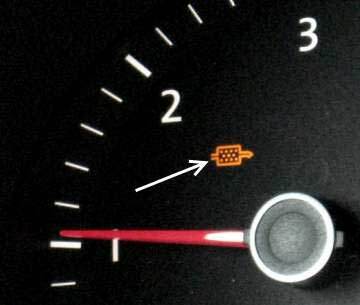 My Volkswagen (VW) Golf 1.6TDi CR Has A Blocked DPF – What Are My Options? You can either replace the filter, have it cleaned or get the DPF completely removed and programmed out of the engine ECU. We do offer all three options to our customers but we advise all customers that if you want complete peace of mind then the ultimate and most affordable option is to have the DPF removed by us. See below the pro’s and con’s of all three options to weigh out the option best suited to your needs. DPF Replacement Filters – We can replace your Blocked DPF Filter with a brand new genuine part, direct from Volkswagen. This part will be warranted by it’s manufacturer and will be a genuine OEM filter. We only offer to replace the DPF with genuine parts because copy/pattern parts will be of a lower quality, come with a limited warranty and from our extensive experience will most definitely give you on-going problems. To replace the DPF Filter could cost you between £800 – £1500 (+Labour & VAT) and the warranty is usually for 1 or 2 years by the manufacturer. DPF Chemical Cleaning Session – There are many companies that offer to “clean” the DPF with additives or taking it off and jet-washing it but rarely are successful. We have signed up with one of the worlds leading aftermarket DPF chemical cleaning companies to offer a very intensive chemical cleaning session, guaranteed to clean the DPF filter and remove 100% of all particulate soot matter and take the ash accumulation back down to zero – providing it is the first time this process is being carried out and the filter is not physically damaged i.e. cracked/melted. This process takes around 2-3 hours and the costs are quite low, however this process does come with a limited 6 months warranty. If within those 6 months the DPF does block up and become a problem again, then we will offer to clean the DPF again at half price or offer the DPF Removal session with a 20% discount in good will. Sinspeed Complete DPF Removal Session – We offer a completely bespoke and custom 4-stage DPF Removal Service whereby we physically remove the filter from the exhaust system and de-activate the complete DPF system from the vehicles ECU. We also cancel out any regeneration processes and carry out a smoke-correction service which is bespoke to Sinspeed, making our DPF Removal service the most extensive and complete service nationwide. All SINSPEED DPF Removal Sessions come with a LIFETIME warranty and a guaranteed MOT pass to ensure complete peace of mind. This is a permanent solution to your DPF problems and will not cost you £1000’s – in fact, we can offer you a complete 4-stage custom DPF removal session with our Smoke-Correction service with all the warranties, for a fraction of the price of a new filter! After having the DPF Filter Removed professionally by Sinspeed you will notice an immediate increase in both power & performance as well as a sharper throttle response. The vehicle will not suffer from any future DPF problems, giving you complete peace of mind and you will gain in fuel economy as well. You will no longer be required to drive the vehicle on long motorway journeys to regenerate the filter because the regeneration cycle will have been completely cancelled out and the DPF completely de-activated – as if it was never there, meaning you can drive the vehicle how you want. Use it to go pick up the kids from school, or a local shop run without any fears of the DPF ever being a problem. With the DPF Filter fitted the back pressure building up in the exhaust puts a lot of strain on the turbocharger and engine as they have to work harder to produce the power to push the exhaust gasses through. By removing the DPF Filter you ease the pressure on the turbocharger and engine, allowing them to work more efficiently – producing the same amount of power with less strain and so less component wear. Also, because the regeneration cycle will be cancelled out, the injectors are no longer required to squirt diesel at longer durations or higher pressures for prolonged periods of time (as they would during regeneration cycles) and therefore prolonging the life of the injectors. Sinspeed is a nationwide company and having done over 7000+ DPF Removals since 2007, we are the first UK-Registered and by far the most experienced DPF Removal Specialists in the country. There are now many companies popping up all over the internet claiming to be professionals and highly experienced – but the truth is that 90% of these are trading illegally as they are not UK-Registered companies. This means that their bold claims on warranties and MOT guarantees will fall flat and if something does go wrong to your vehicle, you will not be able to hold them liable in any way. We are a genuine UK-Registered company and in fact the first UK-Registered company to offer DPF Removals in the UK and thanks to our in-house developed smoke-correction technology, we are the ONLY company nationwide that can genuinely offer a guaranteed MOT pass. A brand new genuine DPF Filter will cost you between £800 – £1500 (+Labour & VAT) and will come with a limited service life of 70,000 – 120,000 miles. We can remove the entire DPF system for a fraction of this cost and you’ll never have to worry about it ever again! If you have a Blocked DPF and are looking for a Volkswagen Golf 1.6TDi CR BlueMotion DPF Removal specialist, then contact us today for more information and a quotation, call us on 0844 847 9999 or alternatively, send us an email. Tags : Golf CR BlueMotion DPF, Golf CR BlueMotion DPF Problems, Golf CR BlueMotion DPF Removals, Golf CR BlueMotion DPF Repairs, Golf CR BlueMotion DPF’s, Help With Volkswagen (VW) Golf 1.6TDi CR BlueMotion DPF Problems, How To Remove Volkswagen (VW) Golf 1.6TDi CR BlueMotion DPF, P2002 DPF Failure - Best Solution From Sinspeed, P2002 Fault Code Solution ForGolf CR BlueMotion By sinspeed, Removing Golf CR BlueMotion DPF, Removing Volkswagen (VW) Golf 1.6TDi CR BlueMotion DPF, Replacement DPF For Volkswagen (VW) Golf 1.6TDi CR BlueMotion, Volkswagen (VW) Golf 1.6TDi CR BlueMotion De-DPF, Volkswagen (VW) Golf 1.6TDi CR BlueMotion DPF Failure Help, Volkswagen (VW) Golf 1.6TDi CR BlueMotion DPF Fix, Volkswagen (VW) Golf 1.6TDi CR BlueMotion DPF Fixed, Volkswagen (VW) Golf 1.6TDi CR BlueMotion DPF Help, Volkswagen (VW) Golf 1.6TDi CR BlueMotion DPF Off, Volkswagen (VW) Golf 1.6TDi CR BlueMotion DPF Problems, Volkswagen (VW) Golf 1.6TDi CR BlueMotion DPF Regen, Volkswagen (VW) Golf 1.6TDi CR BlueMotion DPF Regeneration, Volkswagen (VW) Golf 1.6TDi CR BlueMotion DPF Removal Mot, Volkswagen (VW) Golf 1.6TDi CR BlueMotion DPF Removal Procedure, Volkswagen (VW) Golf 1.6TDi CR BlueMotion DPF Removal Remap, Volkswagen (VW) Golf 1.6TDi CR BlueMotion DPF Removal Session, Volkswagen (VW) Golf 1.6TDi CR BlueMotion DPF Removal Solution, Volkswagen (VW) Golf 1.6TDi CR BlueMotion DPF Solution, Volkswagen (VW) Golf 1.6TDi CR BlueMotion DPF Solutions, Volkswagen (VW) Golf 1.6TDi CR BlueMotion Fault Code: 18434 – Particle Filter Bank 1 Malfunction – Fixed By Sinspeed, Volkswagen (VW) Golf 1.6TDi CR BlueMotion P0471 Fault Code Fixed By Sinspeed, Volkswagen (VW) Golf 1.6TDi CR BlueMotion P08194 Fault Code Fixed By Sinspeed, Volkswagen (VW) Golf 1.6TDi CR BlueMotion P2002 Fault Code Fixed By Sinspeed, Volkswagen (VW) Golf 1.6TDi CR BlueMotion P242F Fault Code Fixed By Sinspeed, Volkswagen (VW) Golf 2008 DPF Problems, Volkswagen (VW) Golf 2008 DPF Removals, Volkswagen (VW) Golf 2009 DPF Problems, Volkswagen (VW) Golf 2009 DPF Removals, Volkswagen (VW) Golf 2010 DPF Problems, Volkswagen (VW) Golf 2010 DPF Removals, Volkswagen (VW) Golf 2011 DPF Problems, Volkswagen (VW) Golf 2011 DPF Removals, Volkswagen (VW) Golf 2012 DPF Problems, Volkswagen (VW) Golf 2012 DPF Removals, Volkswagen (VW) Golf 2013 DPF Problems, Volkswagen (VW) Golf 2013 DPF Removals. We’ve sent you an email – please respond with your postal code for a customised quotation. 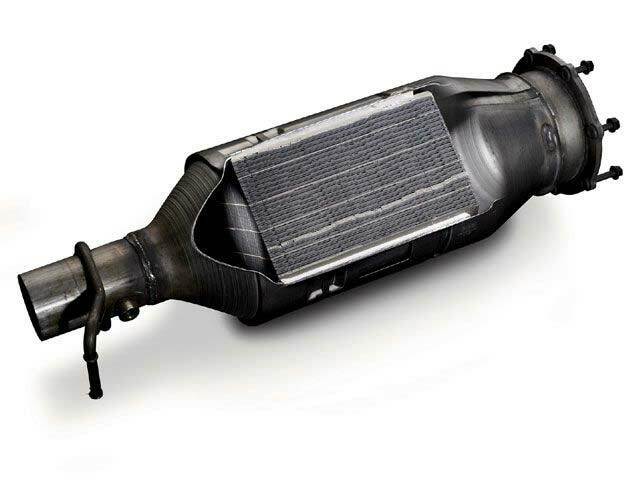 I have sent you an email – kindly respond with your postal code for a customised quotation to have the DPF + EGR removed on your 2010 VW Golf 1.6TDi. How much it will cost to remove.re-programme dpf filter please ? We have sent you an email with full information and pricing for DPF Removal services in Tooting and Hounslow.